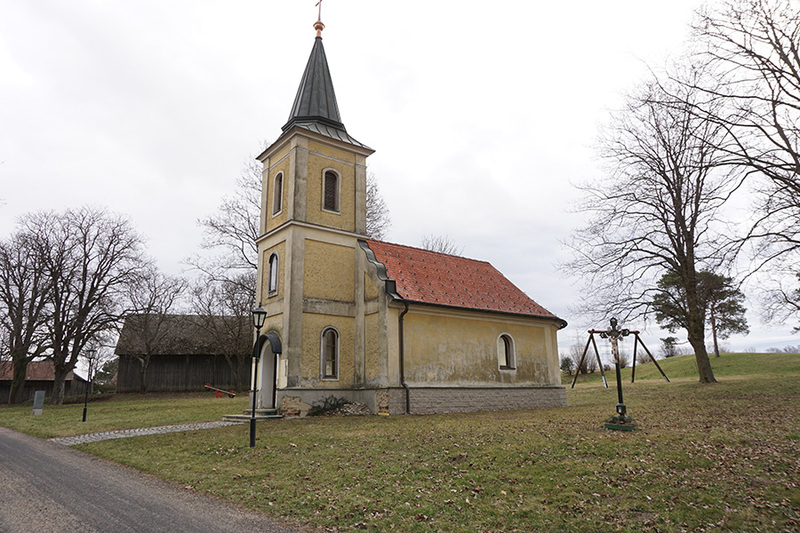 Oratory from 1852 in Wiesen (Leitzersdorf). The chapel is dedicated to St. Bartholomew and was built by the community. In the small turret were two bells of the Freihof of Baron von Pochmann.